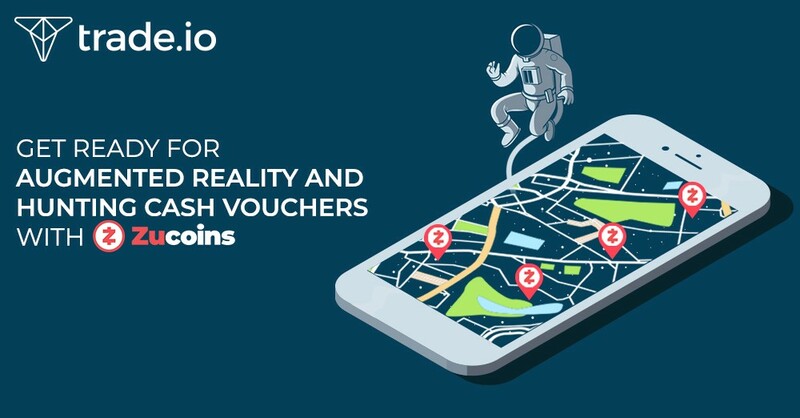 Pokémon Go was 2016, now get ready for augmented reality and hunting cash vouchers, with our latest ICO client, Zucoins. Who knew catching a Charmander or Squirtle could encourage 130 million people to download an app and become obsessed with collecting adorable pocket monsters. Zucoins has taken this concept and transferred it on to blockchain, while creating a new attractive method of advertising. Zucoins are a cryptocurrency token that can be instantly and securely stored or exchanged between everyday users with a truly decentralised peer-to-peer blockchain. Zucoins will launch alongside the Zukaz mobile app, an innovative world first augmented reality global marketing system. The Zukaz App allows merchants to drop real cash vouchers in the augmented reality world, allowing consumers to collect, trade or redeem their cash vouchers at their favorite shops, cafés, restaurants and businesses. How Zucoins and Zukaz will help solve the advertising conundrum? The current advertising marketplace is dominated by outdated advertising business models offered by Facebook, Google, Twitter and others, who as a platform, take a larger than needed cut of a company’s advertising spend. Zukaz changes that by enabling companies to directly connect with their customers through strategic placement of augmented reality cash vouchers in the public space. Consumers can then hunt and redeem these cash vouchers. This not only ensures that the advertisement reaches a targeted audience, but also drives traffic towards the physical store locations. Consumers will interact with Zucoins through their location-based augmented reality mobile app Zukaz. This delivers merchants a powerful interactive marketing system to advertise their products and services directly to customers, in both the virtual and real worlds. How will our community benefit? Consumers interact with the Zucoins ecosystem using the Zukaz apps. Businesses and merchants interact with potential customers by deploying real cash vouchers in specific locations using the Zukaz biz app. Consumers will be able to trade the cash vouchers with one another with the Zukaz app. Zucoins can be instantly and securely stored or exchanged between everyday users within the decentralized peer-to-peer ecosystem. Zucoins do not rely on miners, so transactions are instant. All transactions are secured with Splitlock hashing technology. Using smart contracts, Zucoins receive 20% of all fees paid directly from Zukaz merchants and Zukaz hunters within the ecosystem. Zucoins has reached a new level in blockchain technology, by using patented Splitlock hashing cryptography. Zucoins holders retain fragments of the block chain thereby allowing instant and free transfers peer-to-peer. This brings an end to delays, transfer costs, fees and miner validations associated with Bitcoins. trade.io (www.trade.io) is a next-generation financial institution based on blockchain technology, creating a truly unique exchange that will revolutionise asset trading and investment banking. By leveraging decades of experience in the investment banking, trading & FinTech sectors, and combining them with the power and transparency of the distributed ledger, trade.io has providing the ultimate security and transparency. Zucoins (www.zucoins.com) are a cryptocurrency token that can be instantly & securely stored or exchanged between everyday users within the decentralised peer-to-peer Zucoins ecosystem. Zucoins will launch alongside the Zukaz mobile app (www.zukaz.com), an innovative world first augmented reality global marketing system.